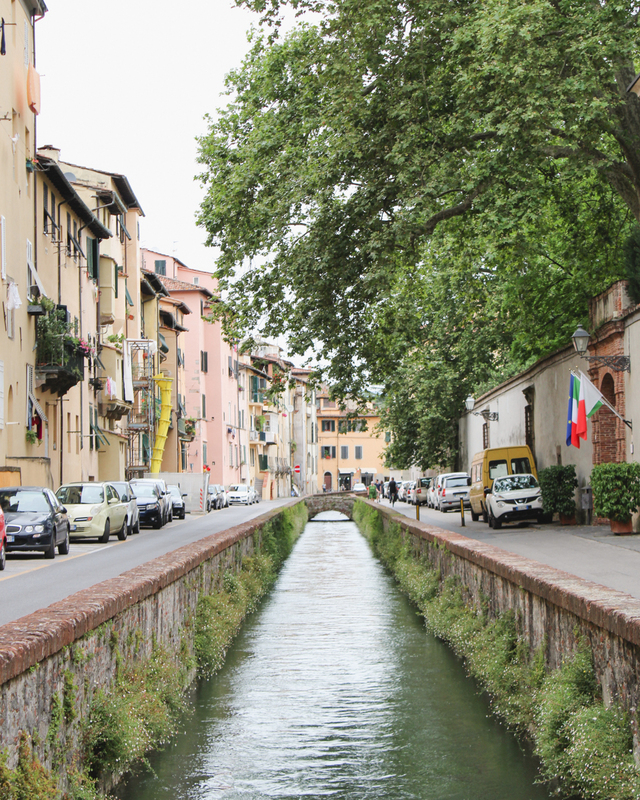 During our road trip in Italy, Lucca was the perfect stop between our stay at Follonico and Cinque Terre. 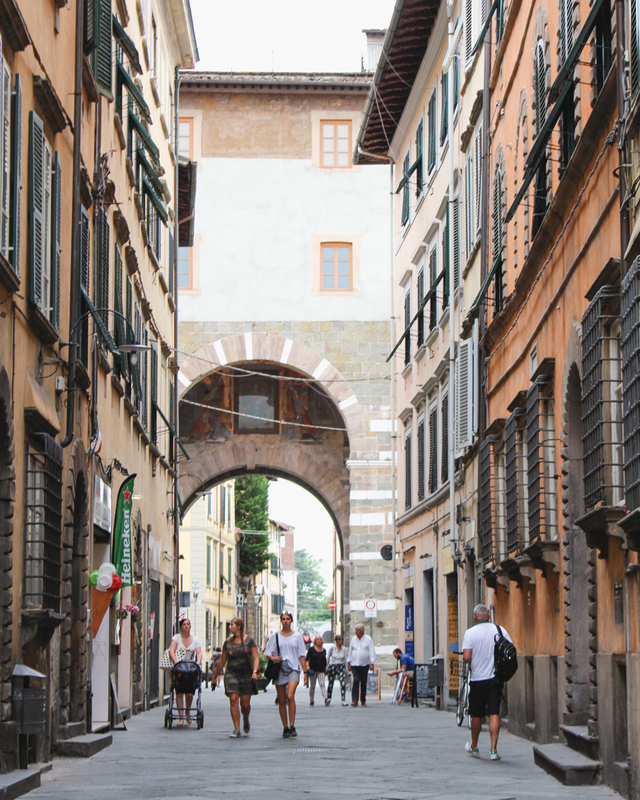 The historic center is mostly pedestrian streets and it was easy to get around on foot. 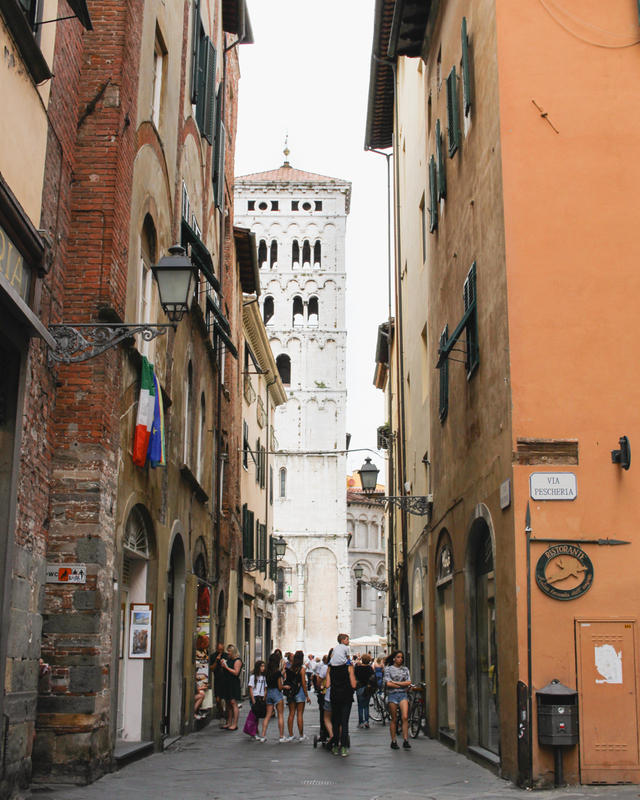 Lucca is more known for its city walls that serve as a main walkway and bike path, but the food and towers also make this Tuscan city worthy of a stop. 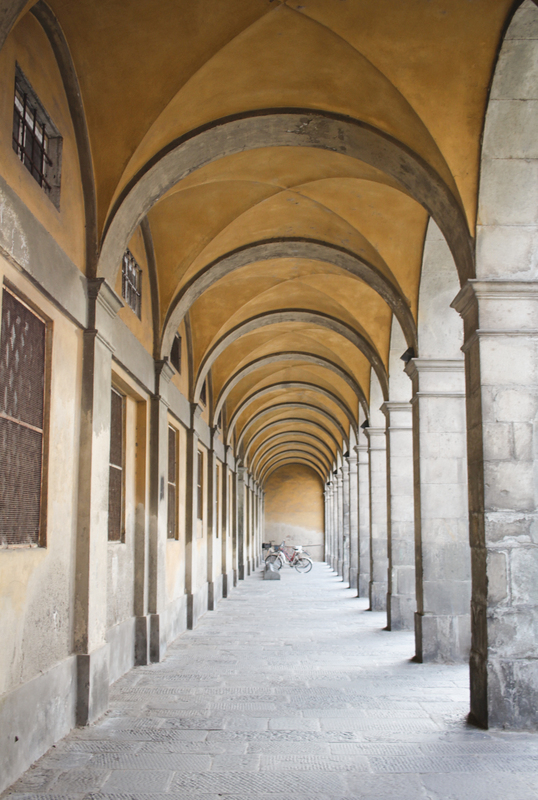 We stayed for one night, but you could easily visit for the day from Florence. 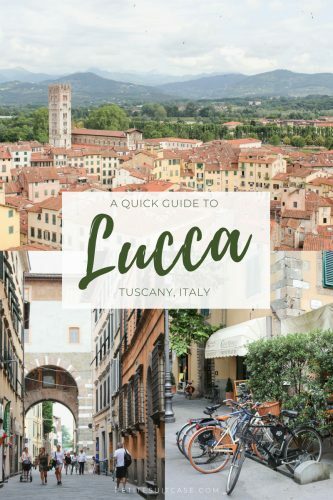 In this quick travel guide to Lucca, I’ll share where to eat, what to do and where to stay. I’ll admit, I didn’t do as much restaurant research as I usually do before I visit a new city. A few days before, I messaged a friend from Instagram (don’t you just love that community!). 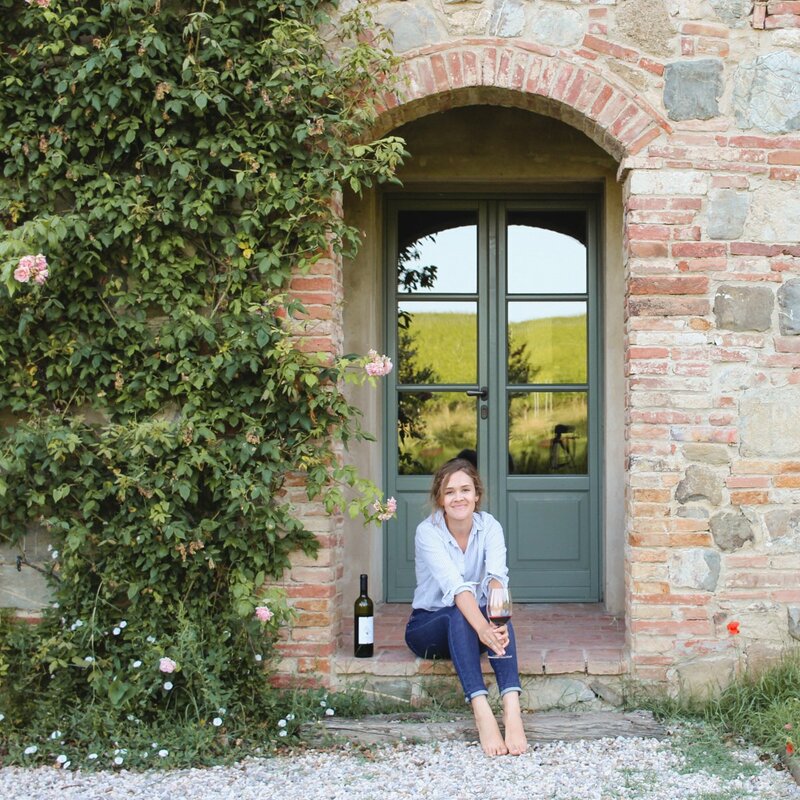 Francesca of @meandtuscany kindly responded with so many recommendations. 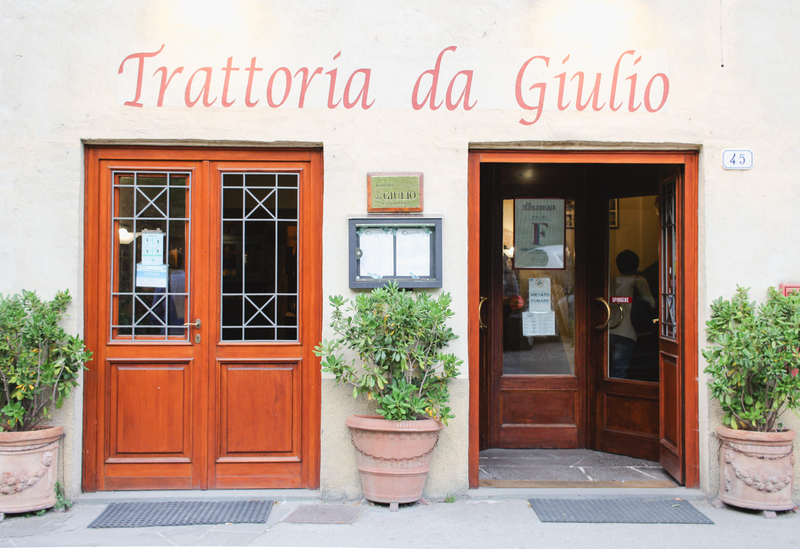 With only one night in Lucca, we went to Da Giulio in Pelleria for dinner. I ordered farinata expecting the chickpea flatbread that I’ve gotten before in Cinque Terre. What I got was an entirely different dish, but equally as delicious. It doesn’t look like much more than mushy polenta, beans and spinach, but trying Lucca’s version of farinata is a must do. 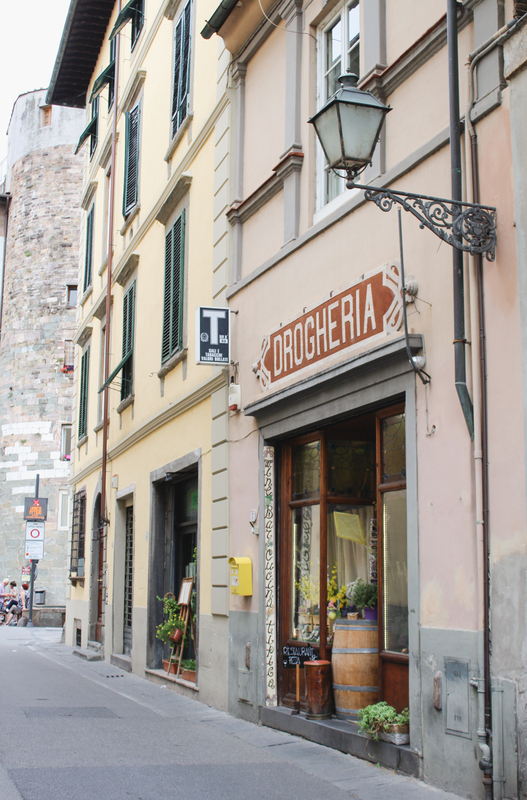 She also recommended Trattoria da Leo, Piccola Osteria Lucca Dentro and La Buca di Sant’Antonio. I’ll take a local’s opinion any day! 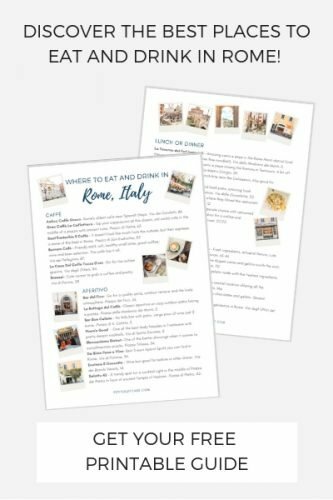 If you’ve read my blog before you’d know I’m always up for a drink near the Pantheon or touristy spot, but I rarely eat there. 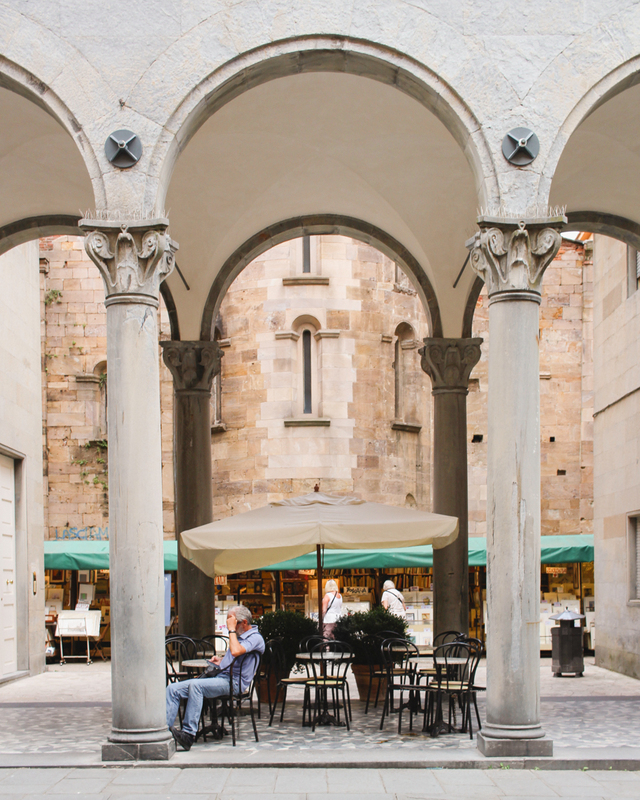 Same goes for the Piazza dell’Anfiteatro in Lucca. 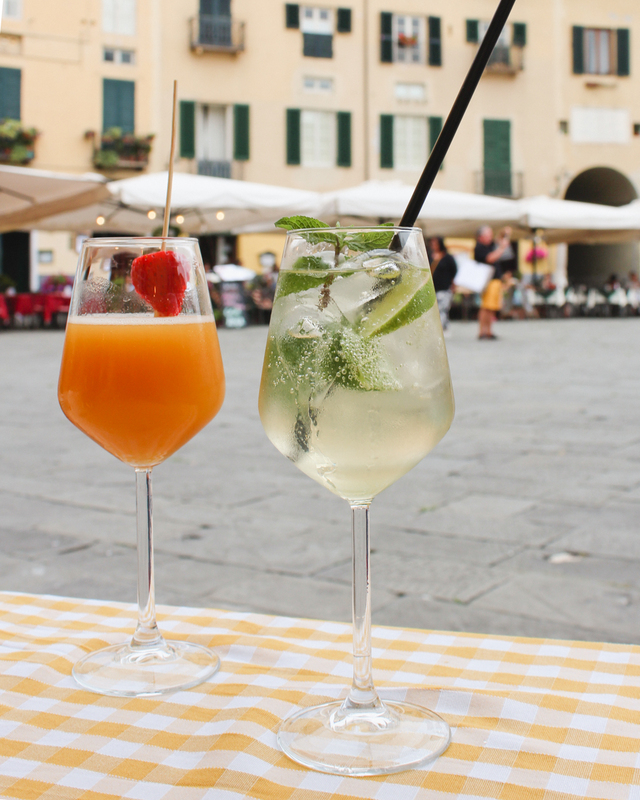 With it’s oval shape, charming facades and outdoor terraces, it’s the perfect place for an aperitivo. And you can’t visit a new place in Tuscany and not try the gelato. 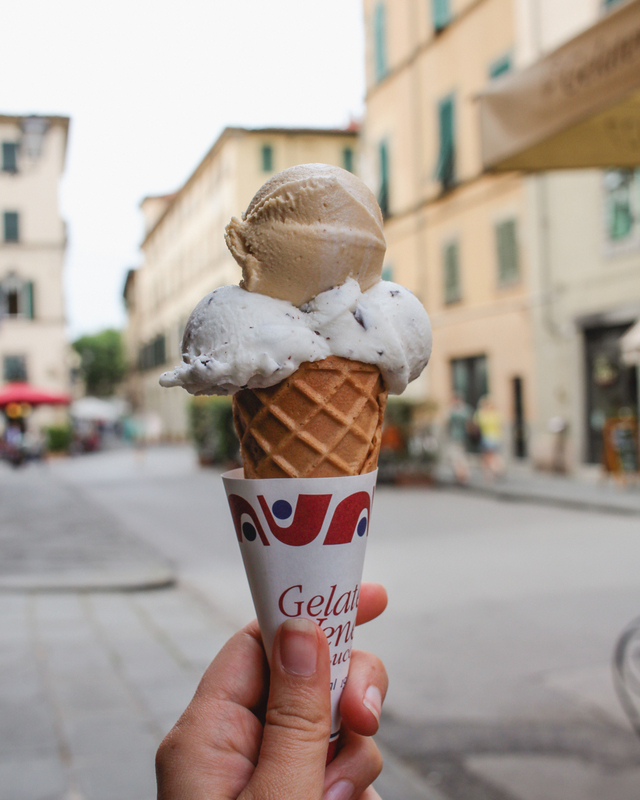 Gelateria Veneta has two locations and tons of flavors. 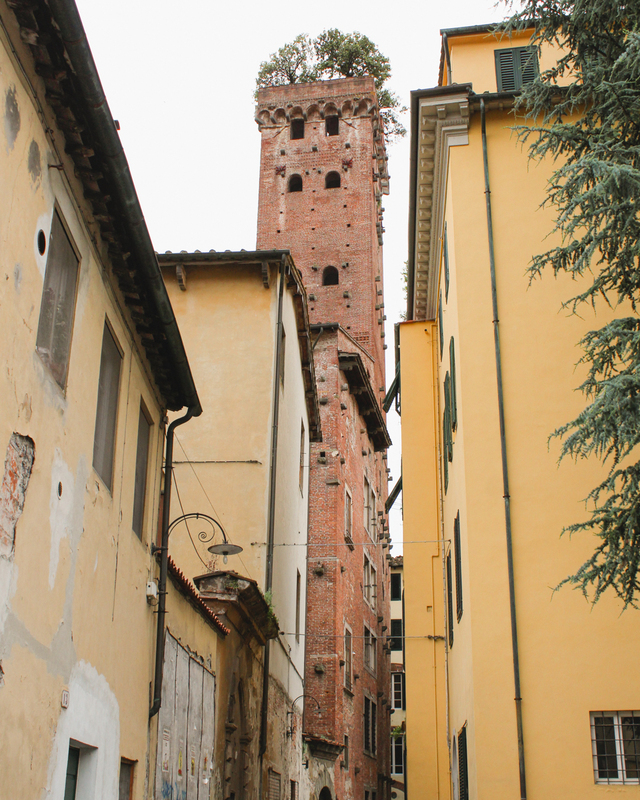 Go up the Torre Guinigi. We got there right when it opened around 9 am and had the place to ourselves. Being the first and only people at the top of this tower is such a special memory. Some of the stairways can get very narrow and we were glad we beat the crowds. 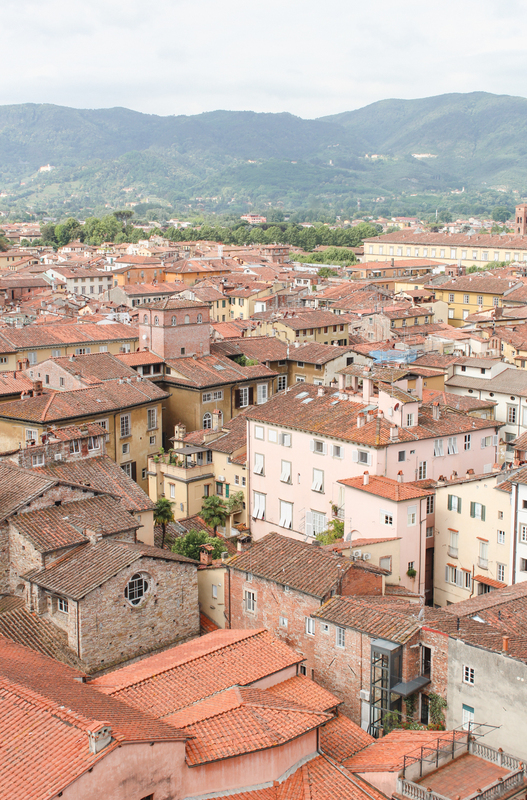 The 360-degree views are incredible and you can even spot Piazza dell’Anfiteatro from above. 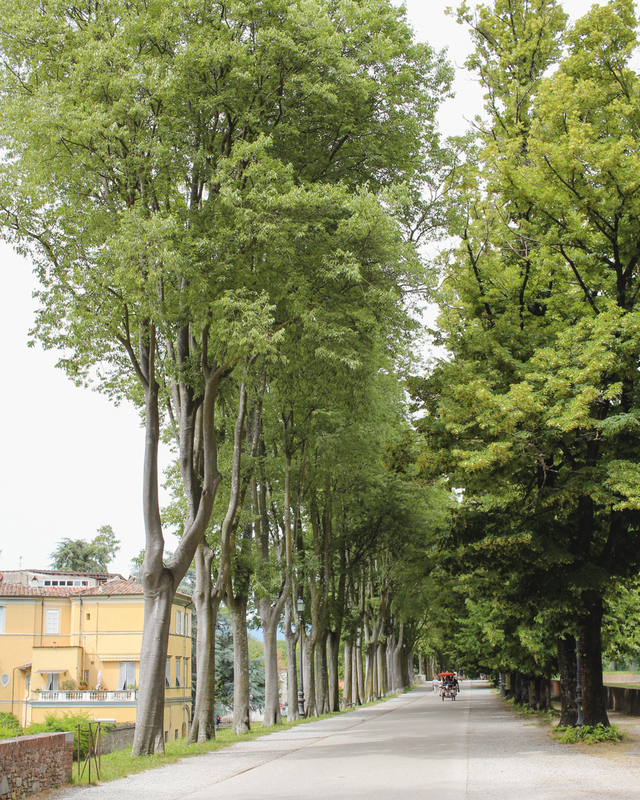 Walk or bike along the tree lined city walls. These raised walls were so calming and offered a nice shady retreat. 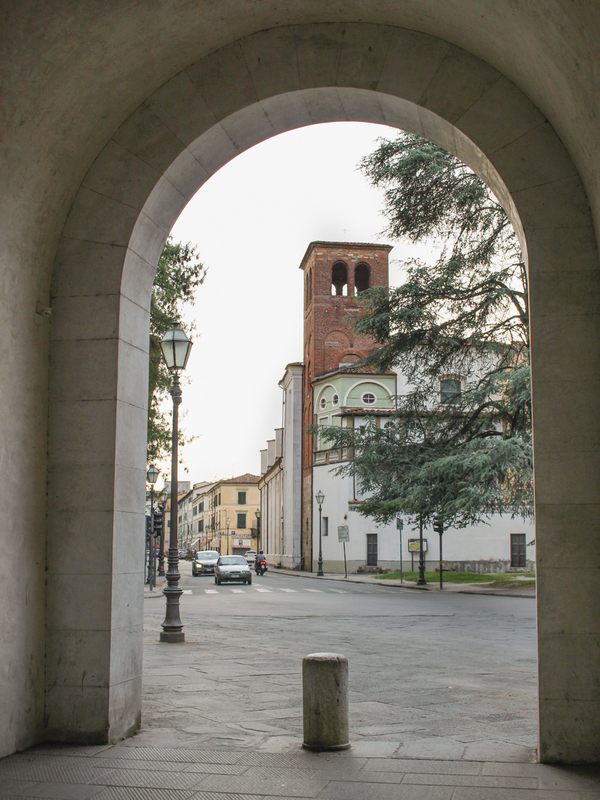 As with any city in Italy, there are stunning churches at every corner. Chiesa di San Michele in Foro was my favorite. 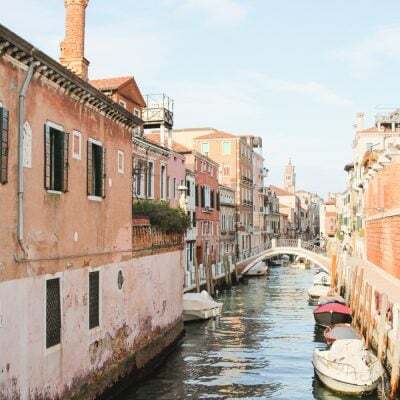 When I’m on a road trip in Italy, I always book a place with easy access and parking. Villa Lucrezia was in an ideal location, offered a spacious room and free parking. The breakfast wasn’t anything to write home about, but Villa Lucrezia is a good value and stress free pick in Lucca. 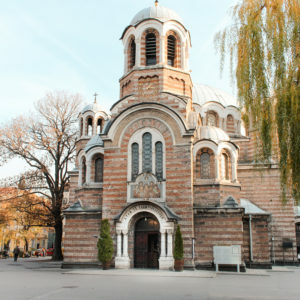 It’s located right outside the historic walls so it’s just a short walk into the city center. 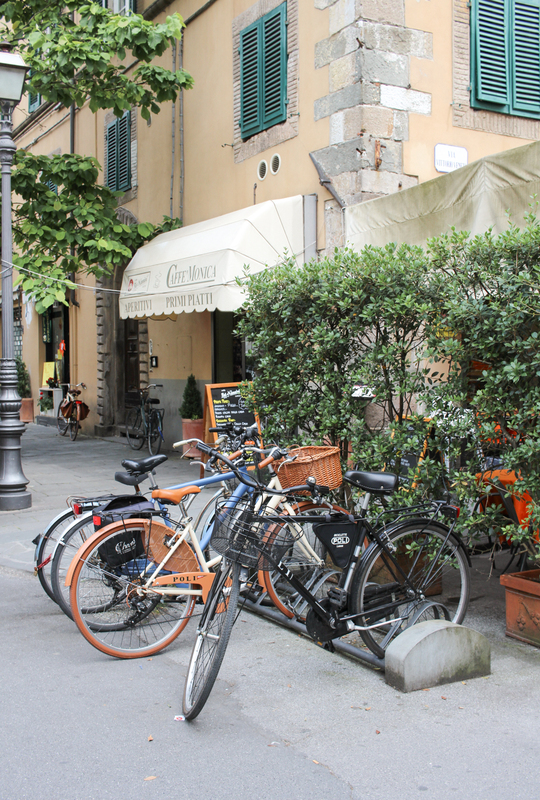 Lucca is a perfect stop if you’re traveling from Tuscany and Cinque Terre. 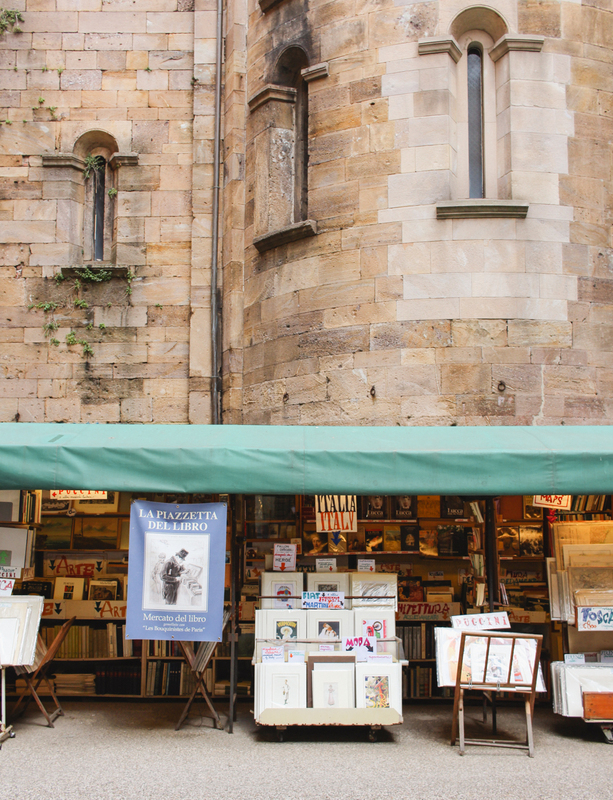 It’s only about an hour drive from Florence, so it’s easy to access if you’re on a road trip. 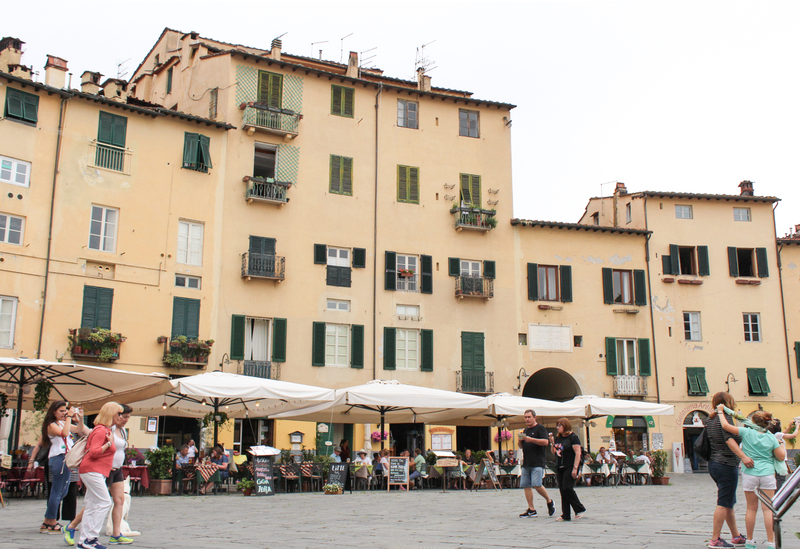 If the idea of driving in Italy gives you a mild anxiety attack, you can also reach Lucca by the main train station. 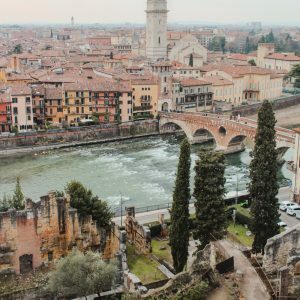 The regional train takes about 30 minutes from Pisa and about three from Rome. The closest airports are in Pisa or Florence. 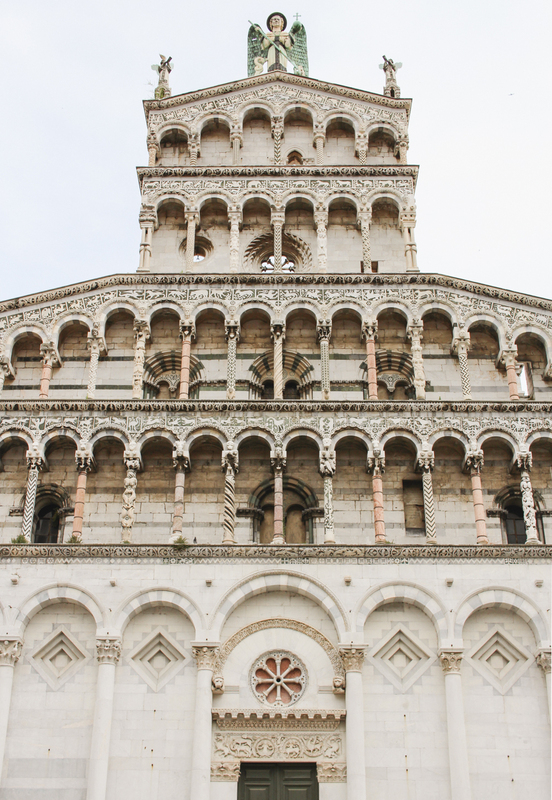 I love your great ideas for visiting Lucca – it’s such a great city, and was so easy to get to from Pisa as well. 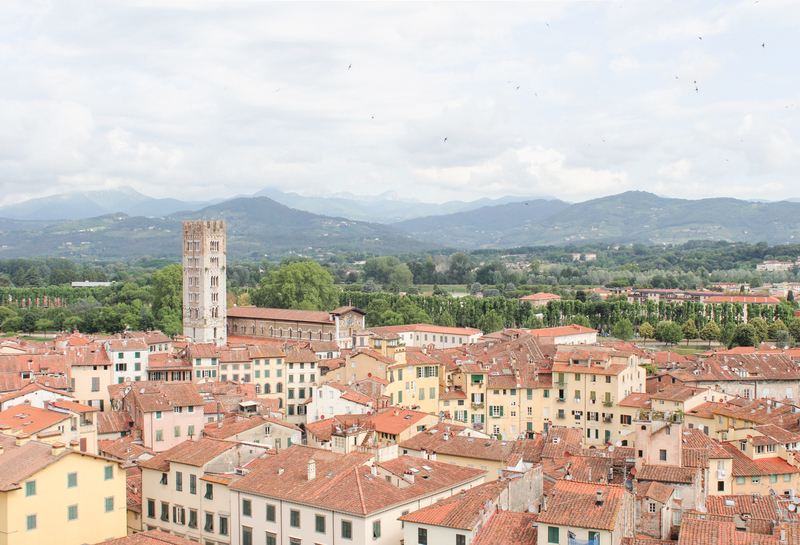 When we visited last year, we happened to be there during Lucca Comic & Games. We didn’t know what we were in for, but it was AWESOME! The only downside was that we need to go back so that we can see more of the city!